Everyone knows that recycling your glass bottles, jars, and cups is a good idea, but how many people think about upcycling the occasional glass container instead? 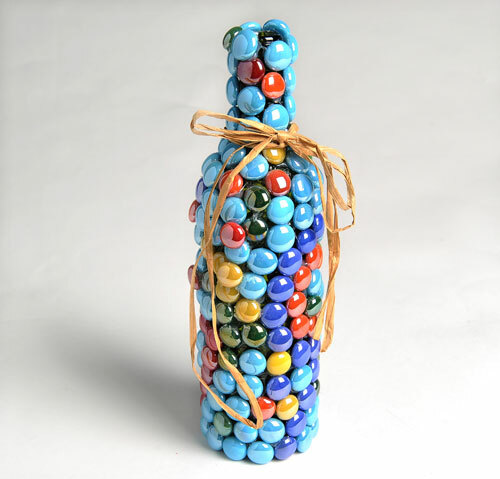 You don’t necessarily need to wash the bottle and stash it away from crafting every time you enjoy a beer in your favourite arm chair, but bigger bottles with interesting colours and shapes or jars of a size that you think will be useful are often great DIY opportunities. 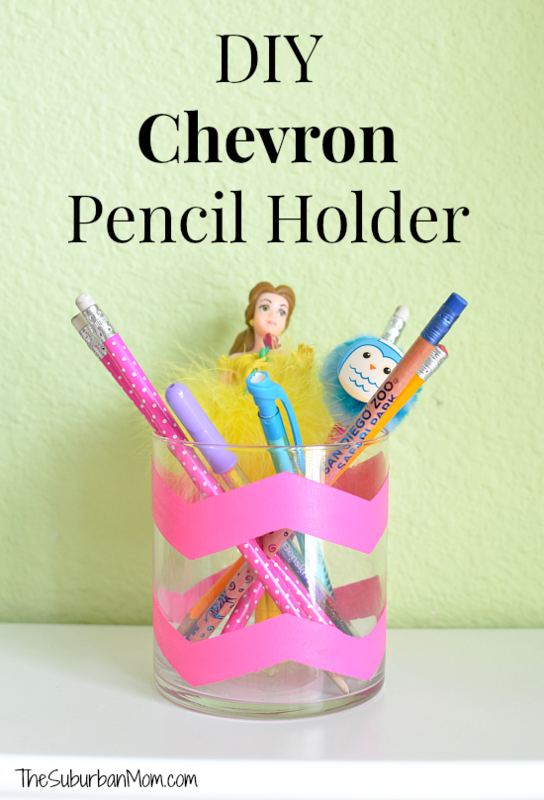 Check out these 15 awesome ways to upcycle glass containers of all kinds! 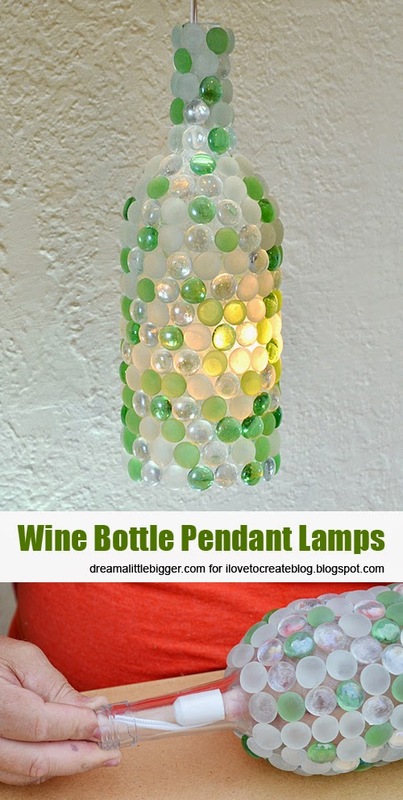 I Love to Create walks you through the process of cleaning, decorating, and wiring an empty win bottle in order to transform it into a practical hanging pendant lamp! It’s amazing how some all-surface paint and a simple pattern can transform a boring old drinking glass into a bright, useful container. The Suburban Mom mom shows you how to create the pattern straight and neatly, without smudging or crooked free drawn lines. 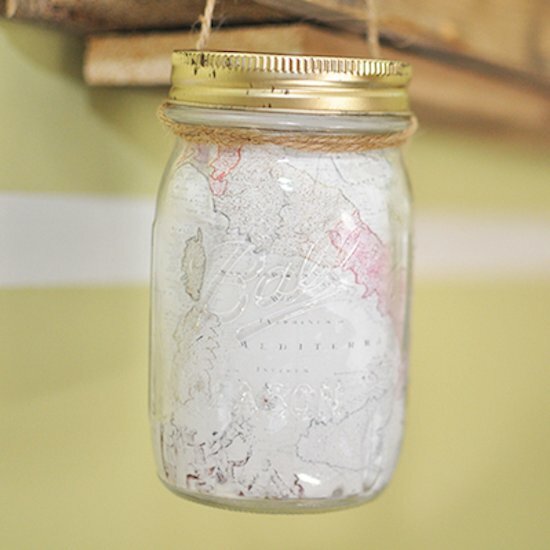 Painting a mason jar might not sound like a labour intensive DIY project, but Everday Trish still reminds you how useful they can be to upcycle! 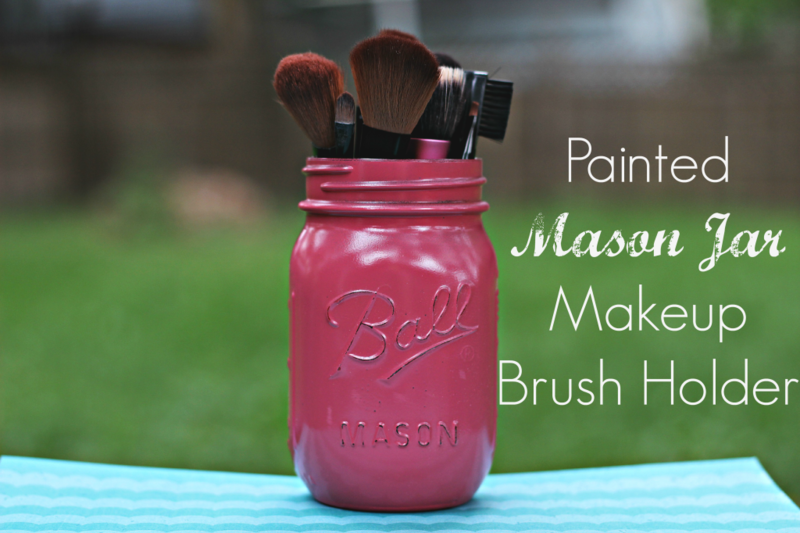 For example, mason jars are the perfect height for storing makeup brushes easily and accessibly. Have you ever seen small Starbucks drinks for sale in convenience store fridges? 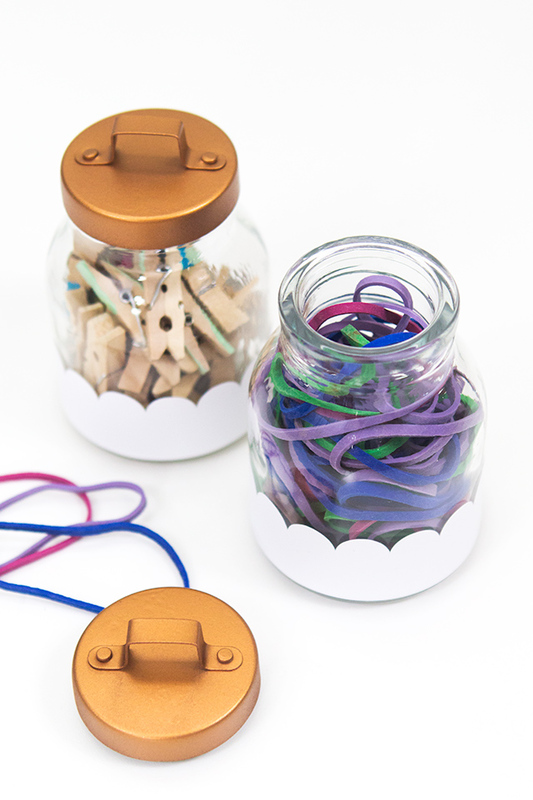 Those little glass bottles are the perfect size for making little decor pieces. The Casual Craftlete shows you how to make them in a number of different styles and looks. 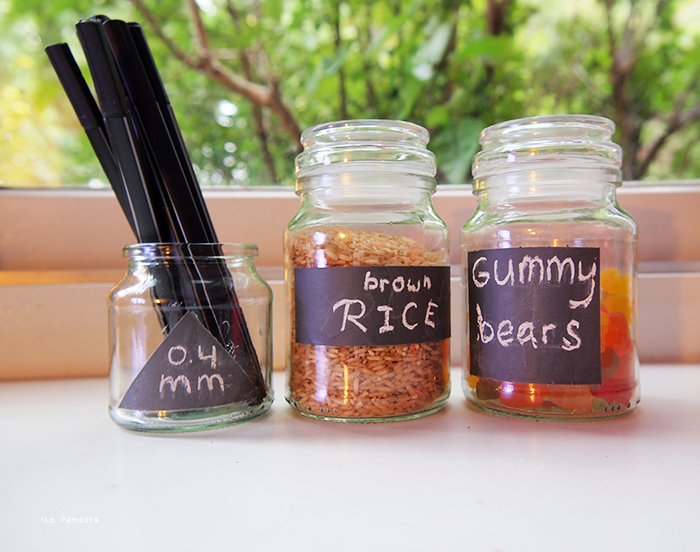 Painting a strip or shaped area of chalkboard paint on the front of a glass jar lets you label the jar according to what you put inside. This is a great way to sort craft supplies by size and colour, for example. Check out how it’s done on Ice Pandora. 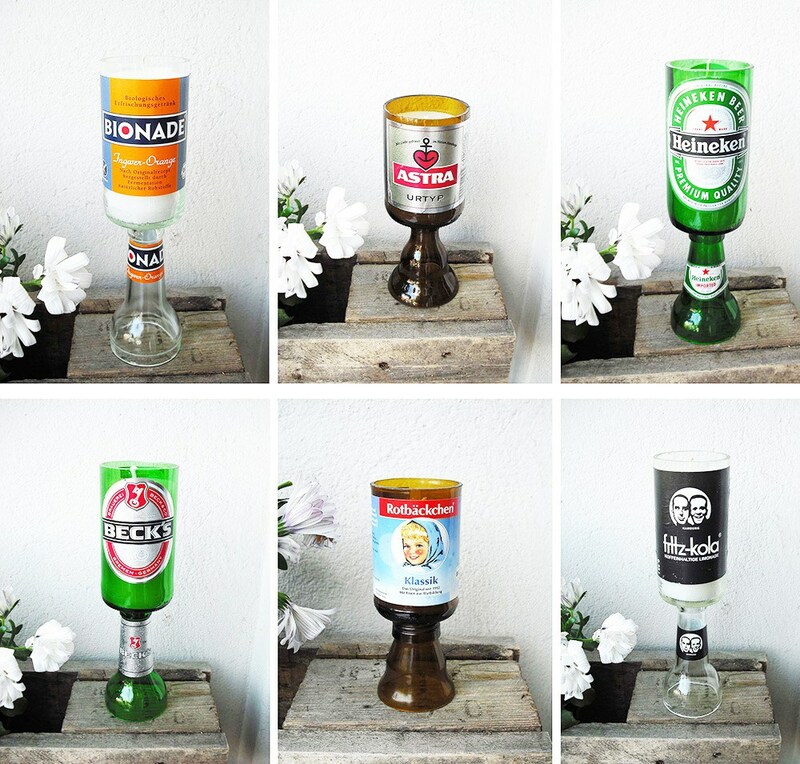 It takes patience, care, and a few special tools to cleanly and safely cut the top of a glass bottle off, but if you can manage that carefully, then you can also create these awesomely kitschy candle holders designed by Nur Noch! 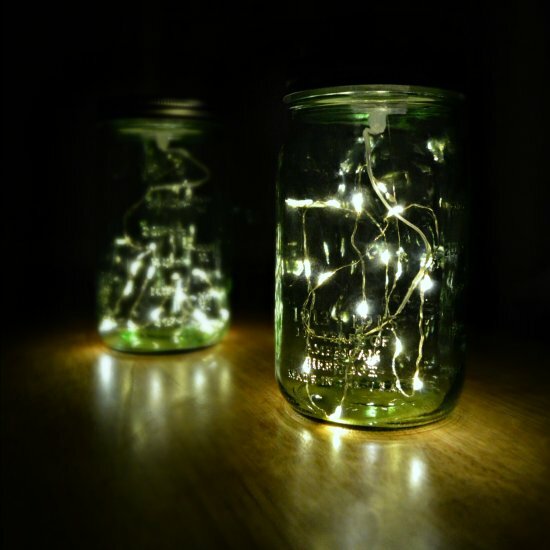 Putting string lights into a mason jar might be one of the easiest DIY projects in the books, but Mad in Crafts still shows you the value in making it, just so no one forgets about this pretty lighting technique. Have you ever seen those beautiful shiny marbles at the dollar store or crafting stores that have one flat side and one rounded? 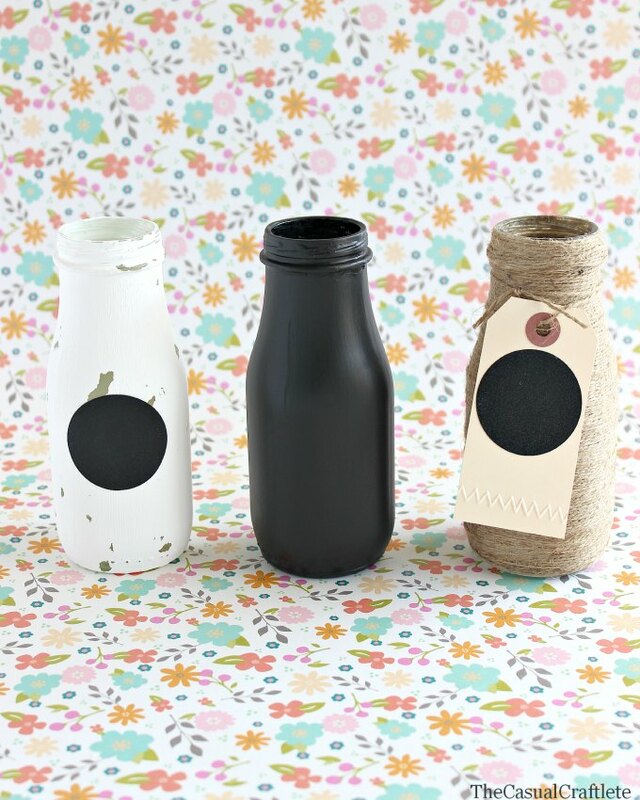 Fresno Beehive suggest those as the perfect method of decorating a glass bottle for our side table or kitchen. Just make sure you use quality glue! Painting glass is fun, easy to do, and it looks totally chic when you’re finished. Sarah Hearts shoes you how to create this pretty, evenly space scalloped pattern on the surface of your jar. DIY Candy shows you how to create an upcycled lighting option that will also display your passion for travel to people visiting your home. The finished lanterns look slightly rustic in nature, giving your space a little extra character. Debi’s Design Diary‘s tutorial is a little bit different from the others in the list! 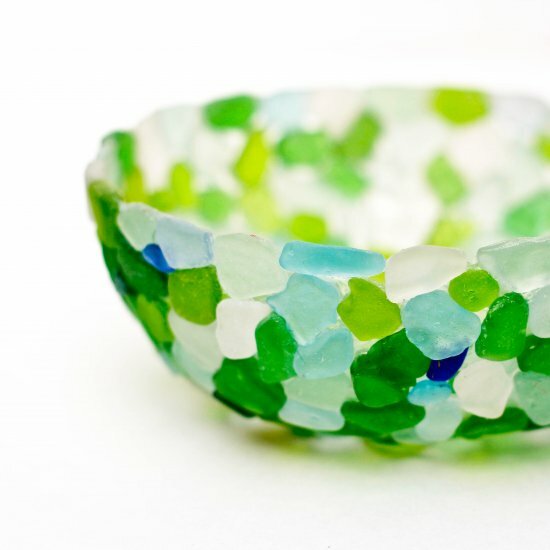 Instead of using glass bottles that you’ve saved to make this project, you’ll use broken pieces of glass that have been smoothed out by the tide and washed up within your reach on the beach! The final effect is gorgeous and absolutely worth digging around in the sand for the right pieces. Are you throwing a rustic wedding celebration complete with cowgirl boots under the dress and dinner in a cleared out barn? 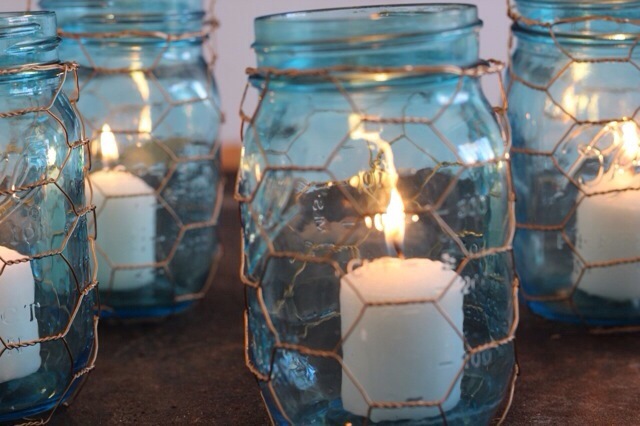 These mason jar and chicken wire candles by Sparkle Living Blog will help you establish a stylishly rustic setting that comes off totally chic rather than too casual. 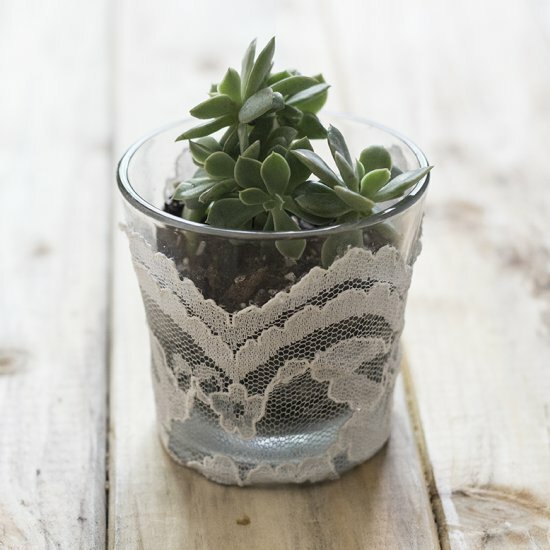 This project is a littler different, but it’s still made from glass and it’s so pretty we couldn’t pass it up. Follow Morena’s Corner to create this absolutely beautiful glitter glass magnet out of simple glass crafting marbles and glitter! 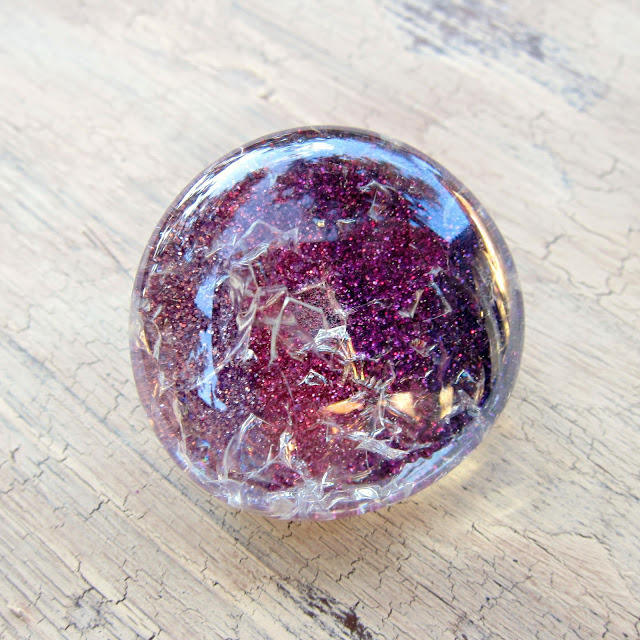 If you don’t need any more magnets, try making your cracked glitter marbles into awesome push pins instead. 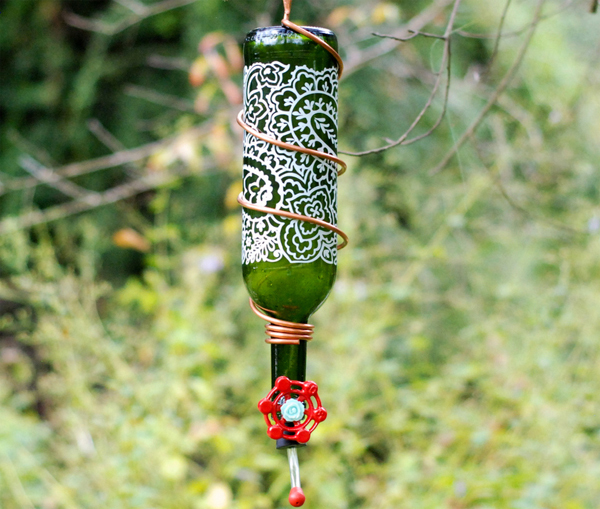 My So Called Crafty Life walks you through the steps of making your very own hummingbird feeder, which is totally worth it once you start seeing their fast, beautiful wings hovering all around your garden!